Tom Gillhouse of Mackinaw and formerly of Deerfield has joined the Special Olympics Illinois Board of Directors and will serve on the Sports Training & Competition Committee. Before retiring, Gillhouse worked in education for 35 years, the last 26 years as an Athletic Director. He spent his entire career in central and northern Illinois at schools in Metamora, Olympia, Belvidere and Deerfield. 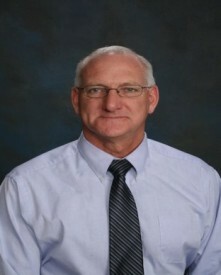 He retired as Athletic Director of Deerfield High School and was a former basketball and football coach. He was a 13-year member of the National Interscholastic Athletic Administrators Association and was a member of the National Federation of State High Schools Leadership Committee. In 2013, he was inducted into the Illinois Athletic Director’s Hall of Fame. In his retirement, he stays involved in high schools by presenting to the students, parents and coaches in the community.